Reported Wilde's lecture contained "the very best of Hamilton society." 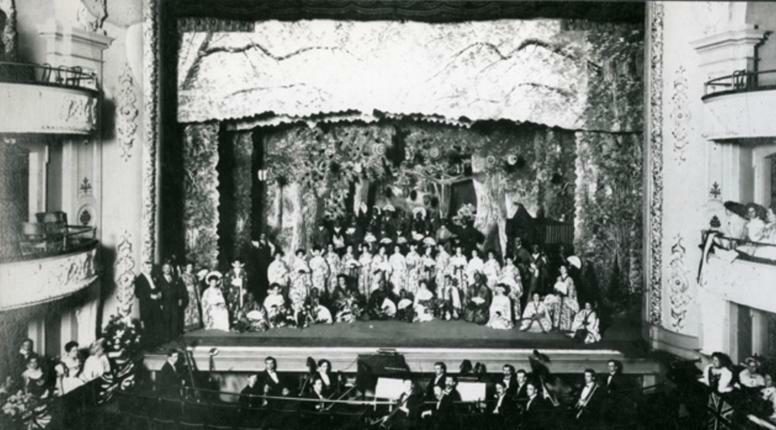 There was a very fair-sized audience at the Grand Opera House last night, composed principally of ladies, among whom were the students of Ladies college. The stage was set with three tables, one in the center and one on each side, each covered with a dark colored cloth of Japanese pattern and dark border. Upon the side tables, and also on the stage floor, were beautiful flowers in pots, but one looked in vain for the lily or the sunflower. 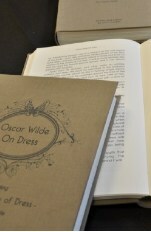 Oscar Wilde did not make his appearance till half past eight, when he glided on to the stage and advanced to the center table upon which he placed his manuscript and rested the fingers of his right hand, and assumed a ‘stained glass attitude,’ placing his left hand on his hip, the elbow sticking out from his body. He was dressed in a dark velvet coat, of the cutaway pattern, with a waistcoat of the same color and material, as were his knee breeches. He wore black hose and pumps. Around his throat was a wide lace scarf, and his wrists were encircled by white lace cuffs, and he sported a handkerchief to match. The somber appearance of his clothing gave an increased pallor to his face, which, though not finely moulded, is certainly of an intelligent cast, his dark brown hair being down to his shoulders in long waves, just shading the sides of his high forehead, and enclosing his face in a sort of sixteenth century frame. He delivered it in choice language, with a musical, yet sometimes monotonous accent. He uses gestures very little, and only with his right hand which, when not thus used, is generally toying with his seal. He spoke in scathing terms of the tragic ugliness of American wooden houses, whose ill-appearance was made doubly distressing by the terrible colors in which they were painted. Mr. Wilde asked for the establishment of practical schools of design in each city, and thought that children could best be educated in kindness by teaching them the love of true art. 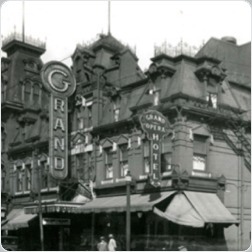 He referred to customs and institutions on this side of the Atlantic which were susceptible of improvement – such as the American stove, the practice of choking the river and creeks with sawdust and slabs, the thick teacups at the hotels and the unsightly and inconveniently arranged houses often met with. He denounced very strenuously the practice of painting advertisements on fences, trees and rocks. His remarks on art education, and the folly of cramming children with mere book learning, while they were brought up in ignorance of the beauties of nature were especially forceful and in accordance with common sense. 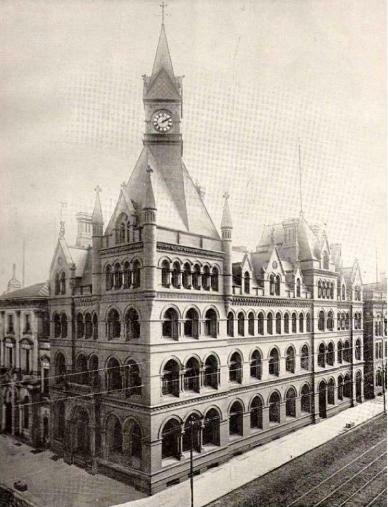 Oscar Wilde did make reference to an example of architecture in Hamilton which he approved, calling the recently constructed Canada Life building at the head of Gore park as “one of the most beautiful buildings* he had seen in this country." 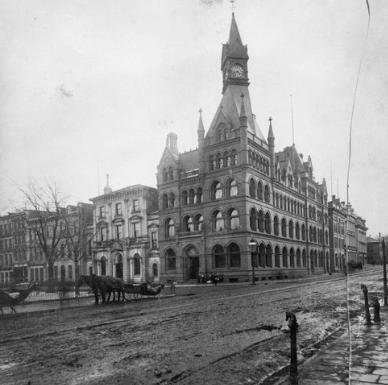 * Gore Street was the the original name of Wilson Street in Hamilton between James and Mary Streets. Wilde did stay overnight in Hamilton but his lodgings are unknown.